How Can SketchTogether Help You? Work with remote clients, dispersed teams, at home team members, and even individuals on the road. SketchTogether effortlessly connects people, regardless of where they are geographically. Set up a meeting instantly to share thoughts and ideas with others, and see their contributions in real time. SketchTogether gets work done when it needs to be done; no overhead setting up, preparing slides, or inviting people to a meeting. Use a tablet, desktop, electronic whiteboard, or even mobile phone to join. 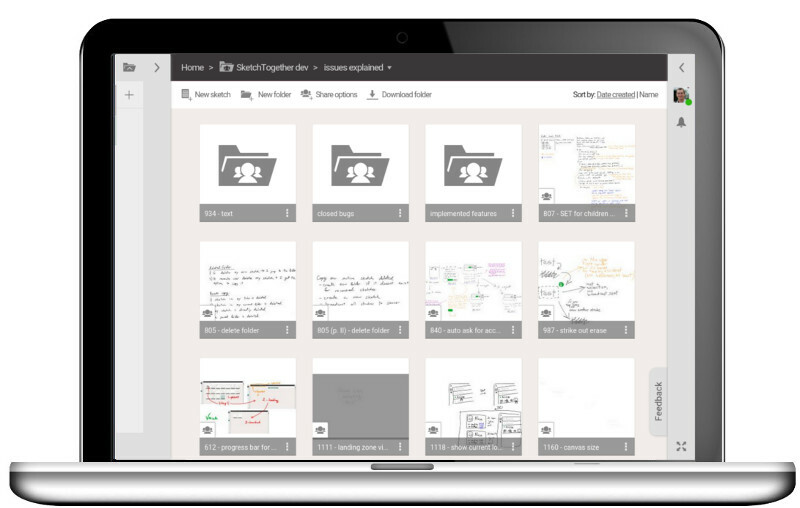 SketchTogether enables effective and efficient creation, review, and organization of any type of content, as fluidly as pen and paper. Organize content per client, project, or other grouping of choice to revisit and edit it at any future time. 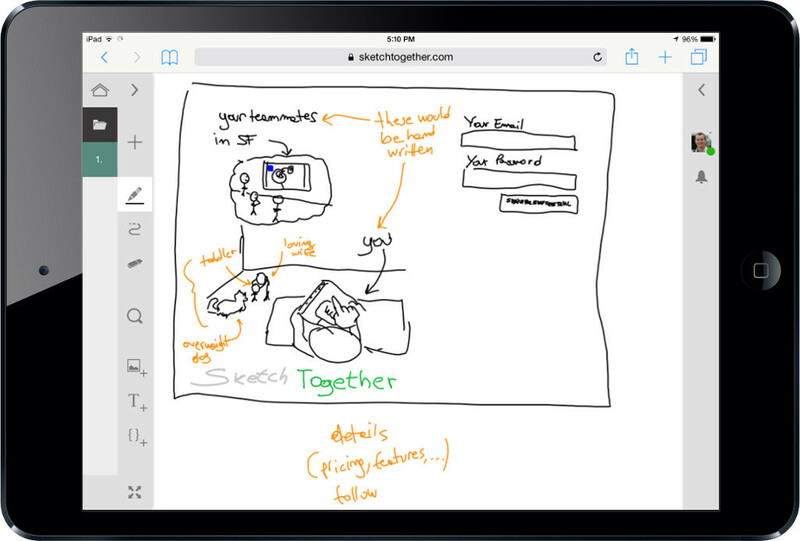 SketchTogether safely and securely manages all content in the cloud.